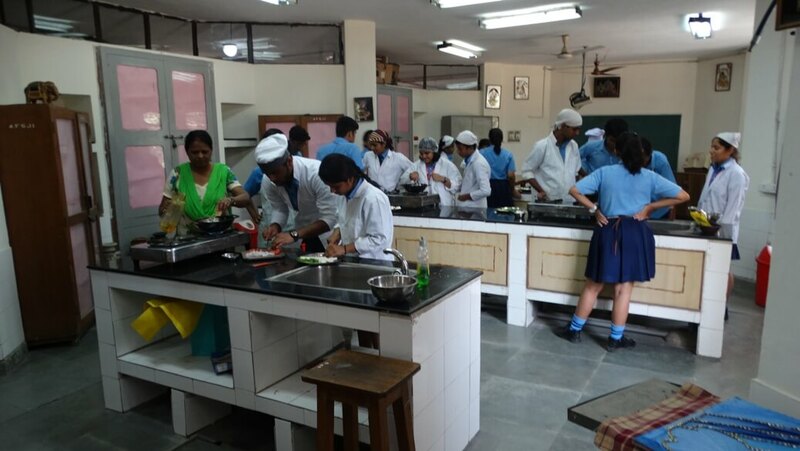 A school cafetaria is located inside the school premises which sells items authorised by the school. No Junk food is sold in the cafetaria. 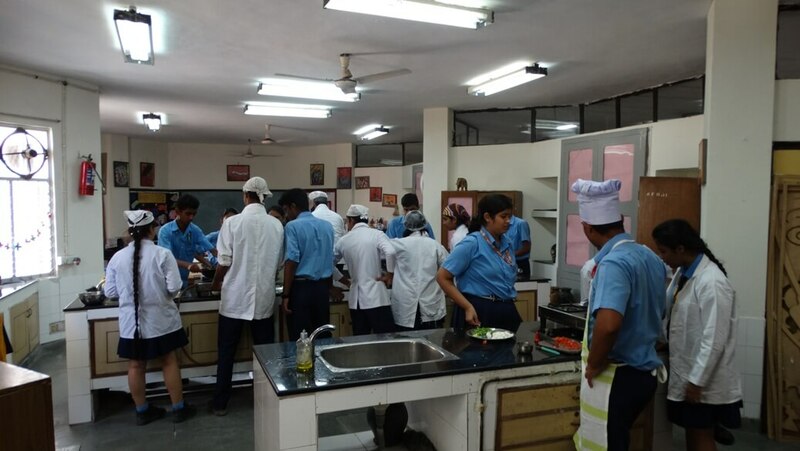 Student must buy the eatables only from school cafeteria. Students can visit the cafeteria during the recesses only and are not permitted to leave their classes for going to cafeteria. For any suggestions/complaints regarding the shop, please communicate with Admin Officer. School Book Shop is located inside the school premises. The prescribed set of books are available in the school book shop along with all requisite stationery items such as note books, files, folders maps etc. 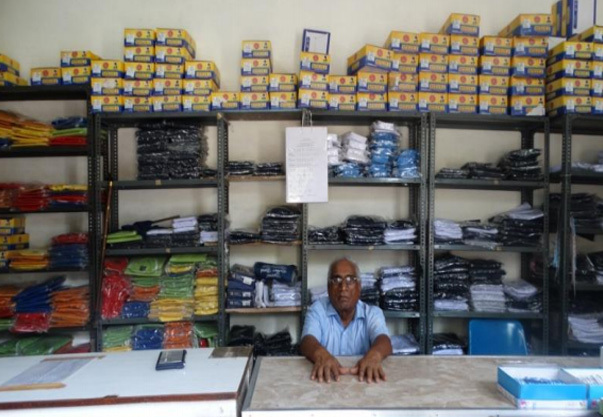 Purchase of books from the school authorised shop/vendor helps in maintaining uniformity among students. The timings of the book shop are from 0830 hrs to 1400 hrs on all working days (with students) of school. Students are prohibited to do any purchases during their study periods. However, they are permitted to visit bookshop during recess and after school hours. For any suggestions/complaints regarding the shop, please communicate with Admin Officer. Students are prohibited to do any purchases during their study periods. However, they are permitted to visit uniform shop during recess and after school hours. For any suggestions/ complaints regarding the shop, please communicate with Admin Officer. 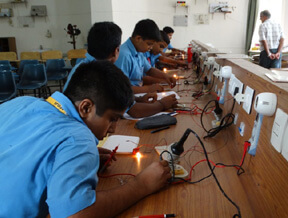 Performing experiments in Physics is part of the curriculum from class 9 onwards. 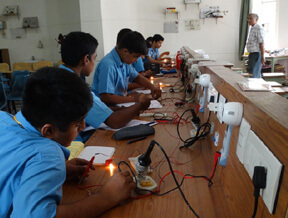 Students enjoy freedom with apparatus in the Physics lab and handle various types of instruments under the able guidance of teachers and supervision of laboratory assistant. 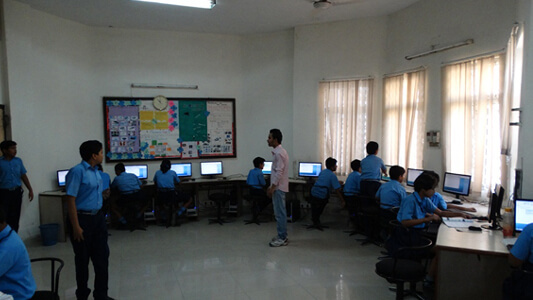 They can work on investigatory projects with the help of teachers. Physics lab is fully equipped and ever expanding to demonstrate new experiments that are added from time to time. 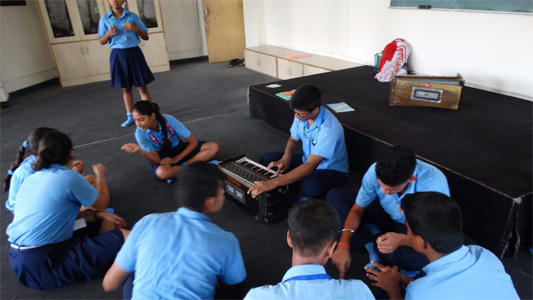 In the year 2015 -16, classes in Robotronics were introduced and 15 students participated in it. This year the number of students is 28 out of which 4 students are attending the second level, while others are attending first level. 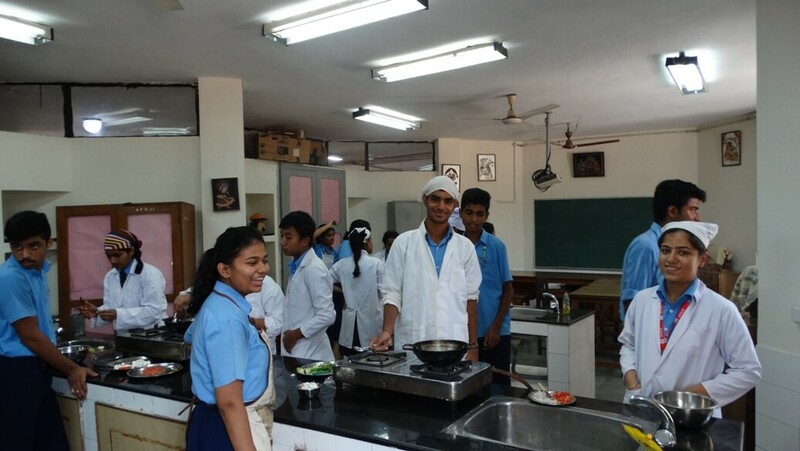 Last year one of our teams comprising of 4 students reached national level of competition. 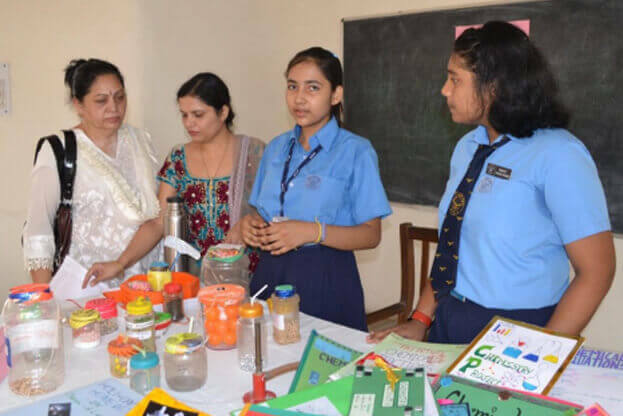 The chemistry exhibition was held on 23rd July 2016, Saturday, during the first PTM of the session, allowing the parents to view the exhibits put up by the students of classes 6th to 10th. The students of class 6th made charts to explain different changes in nature. The students of classes 7th and 8th had a ‘Best out of waste based project.’ The 7th graders made dolls representing the culture and color of different states of India, only using waste fabrics and yarns, while those of class 8th made interesting day-to-day usage items using waste material like lamp shades, table cloths, decorative items etc. 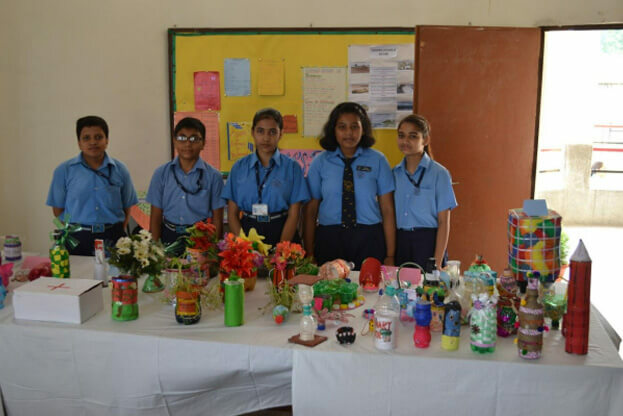 Keeping in pace with the change in the difficulty level of studies from class 8th to 9th, the students of class 9th had a more advanced topic and had made informative models to show the movement of molecules in different states of matter. 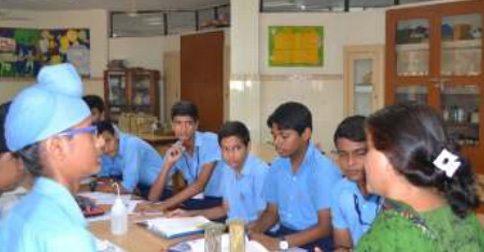 The students of class 10th mean while made a project based on the first chapter of their syllabus, chemical reactions, that will be the basis of their further education should they choose to go ahead and take the science stream in their future years. 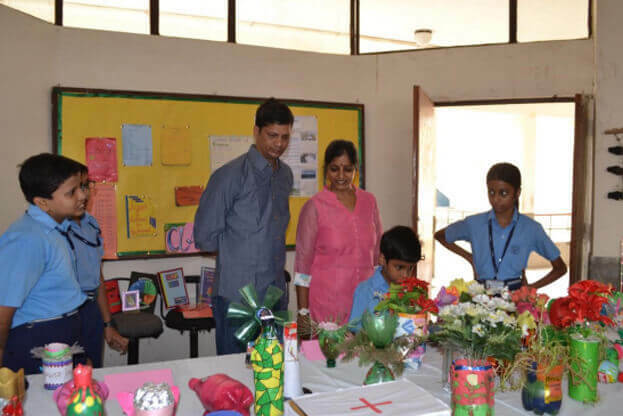 All the parents who visited the chemistry exhibition appreciated the efforts of children and praised them for their excellent work and talent. 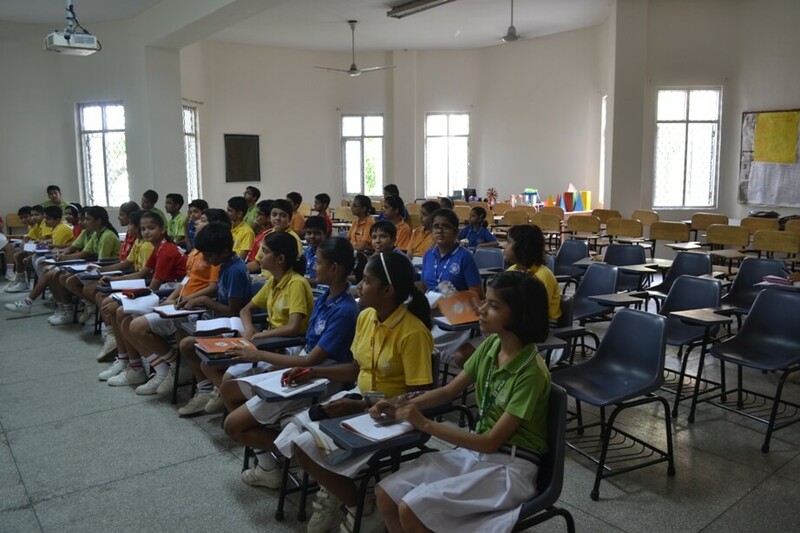 The confluence, AFGJI’s annual inter-school jamboree, was held from the 28th to the 29th of July 2016. 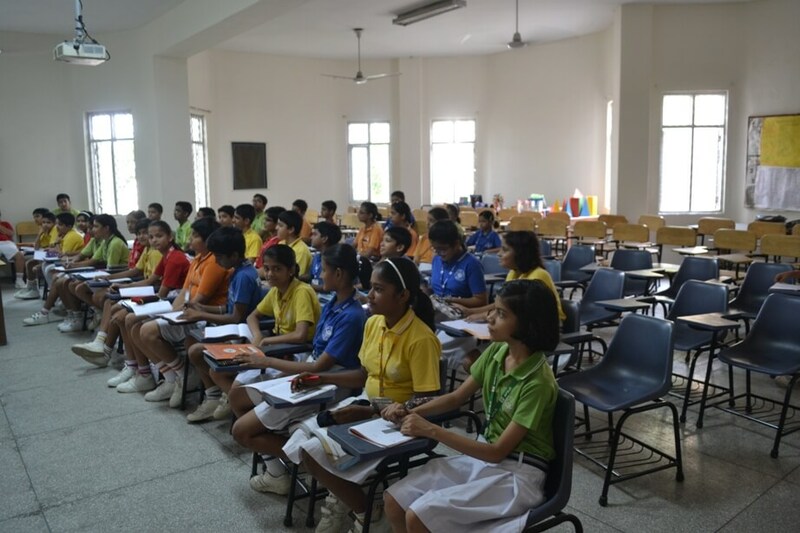 Students from schools all over Delhi appeared to participate in the many competitions, declamations and debates held over two days. Among these, in only its second year running, the ‘Chemposium’, the Chemistry symposium, was an all-out success. 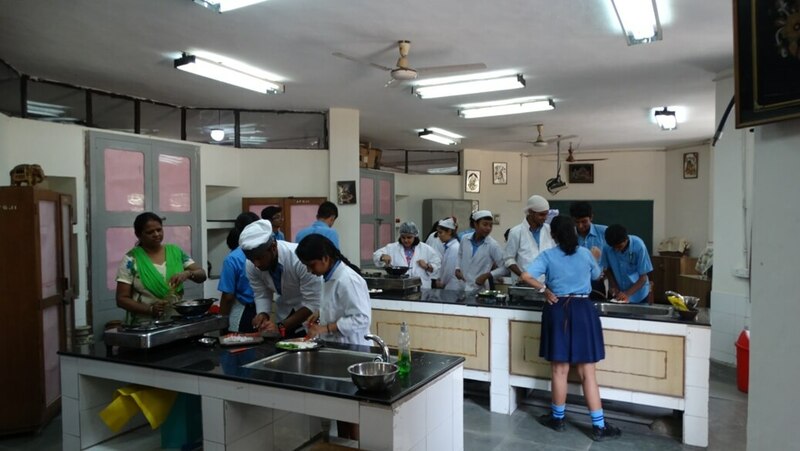 The initial entry list, which was to close a week before the competition, had only twenty five entries, but by the day of the competition, more than thirty schools were present to take part. 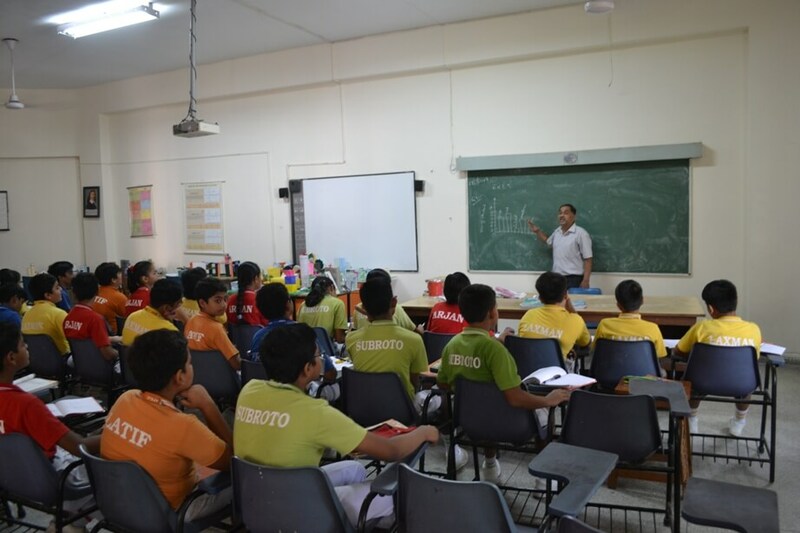 The students also had rather unusual topics like the use of Chemistry in the automobile, aerospace and marine industry. Another highlight of the event were our judges, Mr. Aadarsh Mehndiratta, Ms. Sukanya Rai and Ms. Priyanka Shukla, all of whom are alumni of AFGJI, passing out from the school in 2012 with excellent grades in Chemistry, and all of them are presently beginning their careers in major companies and firms. The students took up the challenge and put up rather interesting points in their presentations, giving everyone the opportunity of seeing the upcoming advances across the modern world with the aid of Chemistry. 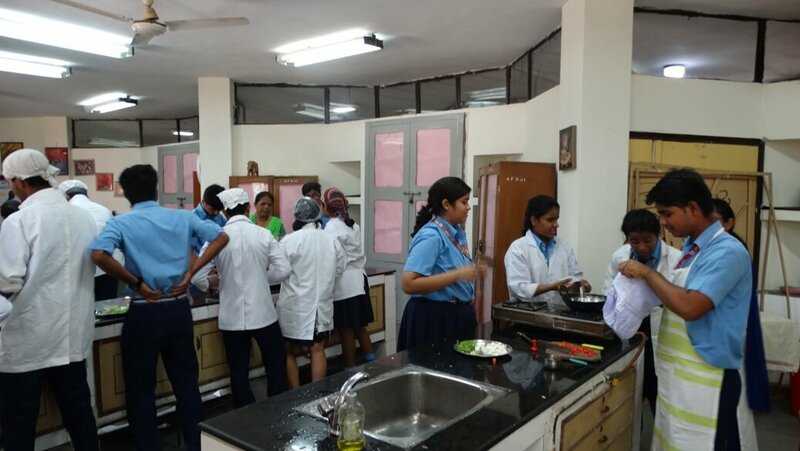 The event also had a lot of support from the school, with students from all classes volunteering to be part of the organizing committee of the event. 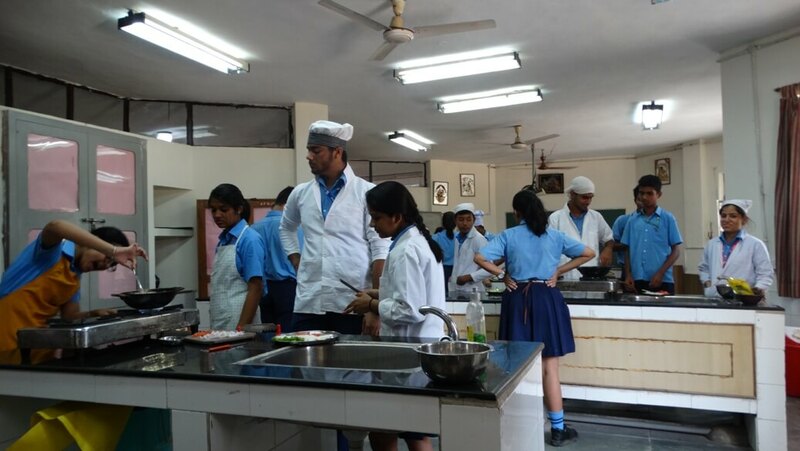 The end of the competition also saw each judge, barely out of school a few years back, say a few words of encouragement and motivation to the gathering of classes XI and XII science students from across Delhi. All in all, the Chemposium was a huge success, with students giving their best for the first position, and with a promising scope in the future, as these young minds showed rather ingenious ideas when it came to voicing their opinions in the form of a PowerPoint presentation. 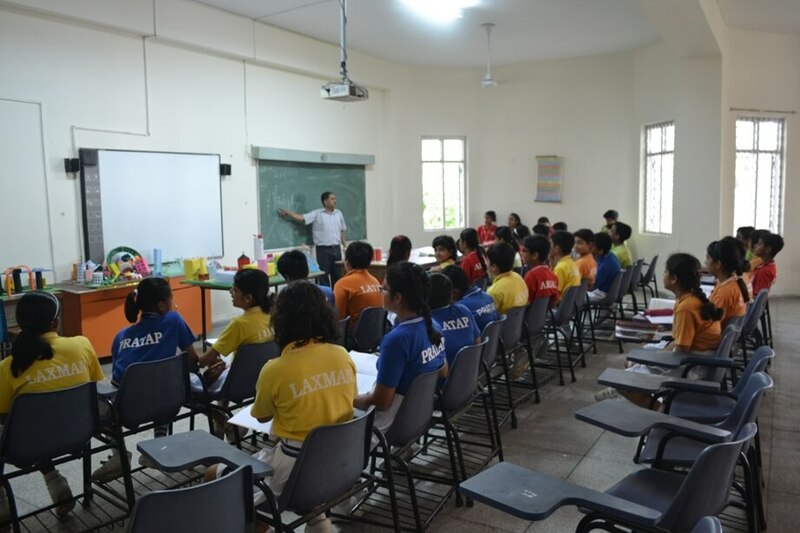 In the end, everyone had to agree that in the coming years, the competition had a lot of scope for bringing out the talent in young minds and allowing them to express their opinions on the changes that can be brought with the help of modern Chemistry to make today’s world a better place. 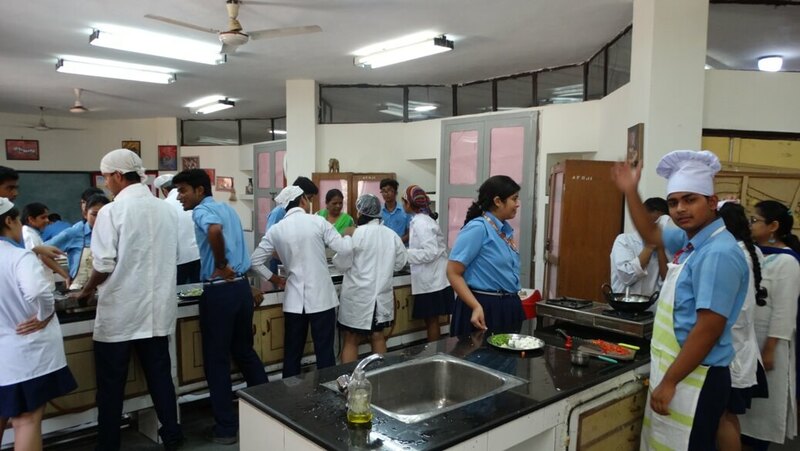 Biology Lab (department) is as old as our school that is it was set up in 1986 and is being constantly upgraded every year according to the needs of the students. 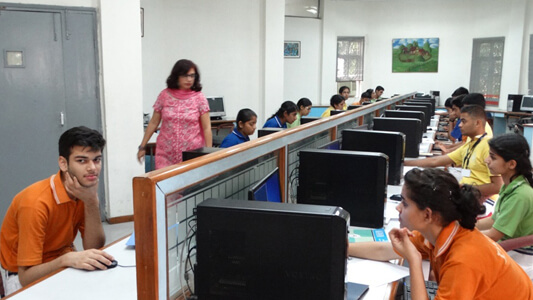 It is well equipped with microscopes, specimens, projectors, various instruments and other materials needed by the students. 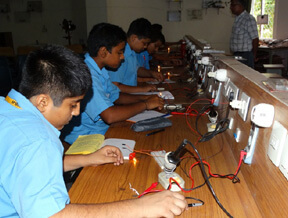 It is also a place where we show case our home-works of students and other objects during science exhibition. Recently it was renovated according to the present conditions. 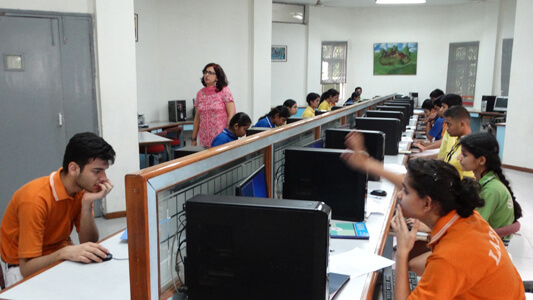 The school boasts of beautifully designed senior computer science lab which caters to the students of class XI and XII opting for Computer Science. The lab has 30 computers having i3 processors and has C++ and MySql installed on each machine. In addition to this the lab also has an internet connection,two laser printers and a scanner. All computers are on Local Area Network with a centralized UPS having half an hour backup facility. 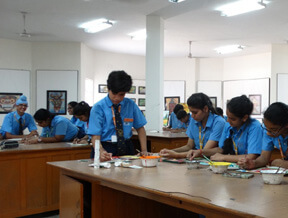 Since its inception, the Air Force Golden Jubilee Institute Art & Craft Department has been the hub of cultural and artistic activities in the school. 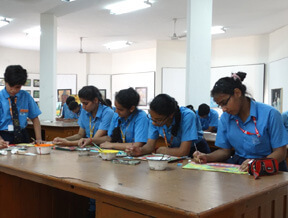 Over the years, it has been instrumental in carving and moulding the aesthetic qualities of the students. The Art and Craft Dept. 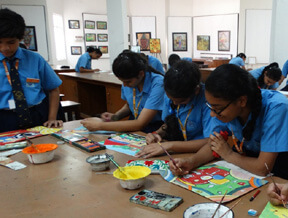 boost of students who have either established themselves in the field of art or are pursuing art from some of the premier institutions of our country like NID, Ahmadabad and NIFT. 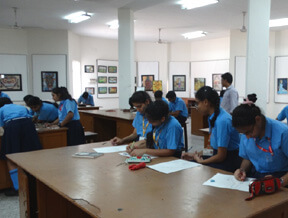 A spacious and well maintained Art Room provides a conducive atmosphere to the student artists. The Art Dept. 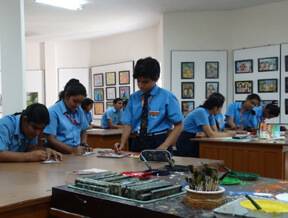 has a rich collection of Art books that broaden the horizon of knowledge of the students. 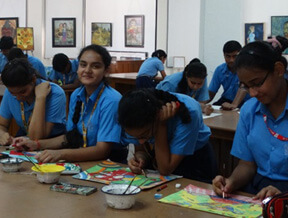 Art Exhibitions, competitions, visits to Art Galleries , Museums and Workshops opens up the mind and soul of the budding artists towards the World of Art. Apart from this, students are made aware of the latest art trends and New Media Art through video projections. The Dept. 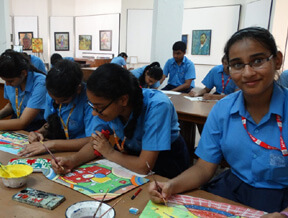 is constantly striving to inculcate aesthetic values in the young artists. 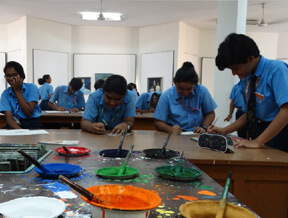 The students of Fine Arts and Home Science had a unique experience to know about a form of craft that has its own aesthetic and anthropological significance. 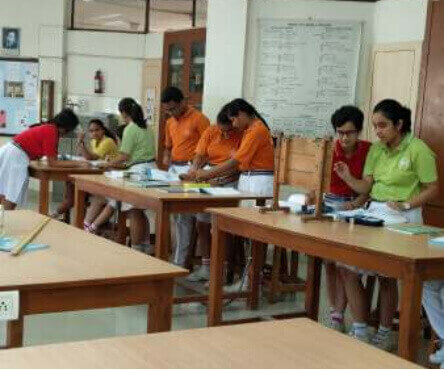 A Bamboo Cane Craft Workshop was organized in the Art Room on 25th, 26th , and 27th April 2016. National awardee Mr. Vivekananda Bagchi was the resource person for the workshop. The students who were novice in this form of craft came to know not only about the qualities of bamboo cane but also about the nuances of weaving. 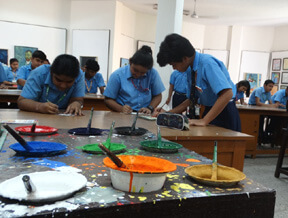 In the process, they made some decorative baskets, bangles and other ornaments. 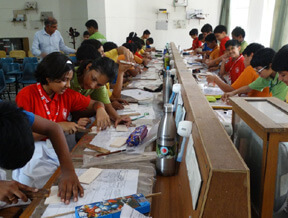 More than 75 students participated in this workshop. The workshop culminated with the Closing Ceremony where Mr. Vivekananda Bagchi was felicitated by the school Principal Mrs Poonam S Rampal in the presence of the Vice Principal Mrs Rashmi Soota and other distinguished guests. Padmashree awardee Sri. Jai Prakash was the Guest of Honor on this occasion. 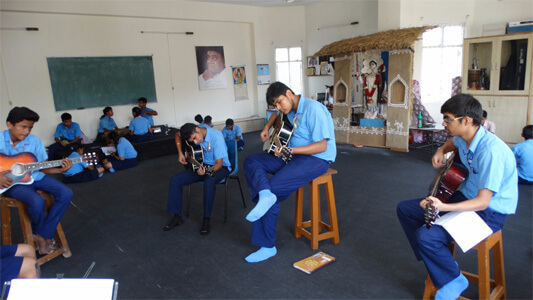 The Music Room of the Senior Wing building AFGJI is that creative and fun zone where students let themselves loose from their academic pressures and enjoy learning, practicing and making music together. 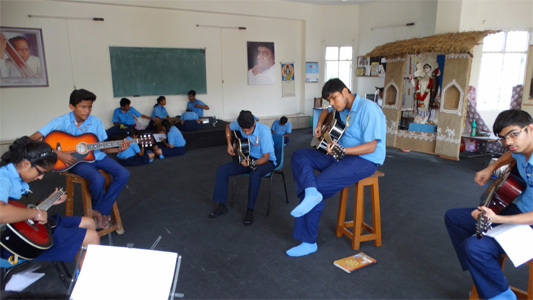 The room is equipped with well-stocked professional grade instruments to help the students learn and enjoy their Music. 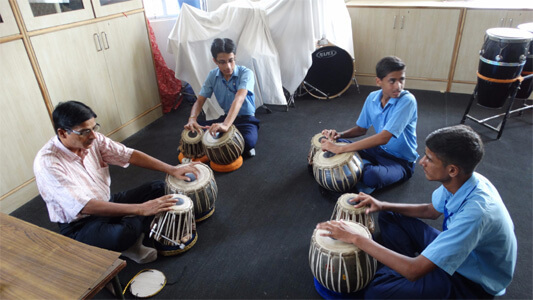 Unlike many other academic institutions, the students get to lay their hands on the real instruments to support their learning and growth. 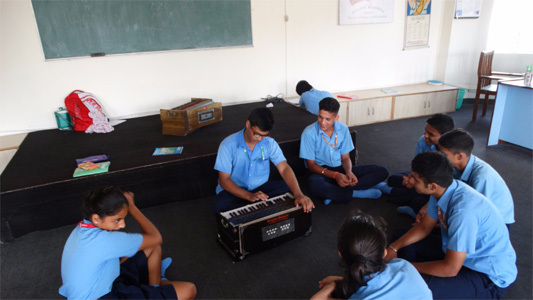 We keep increasing our instruments inventory such that every child gets to hold and play an instrument during the classes. 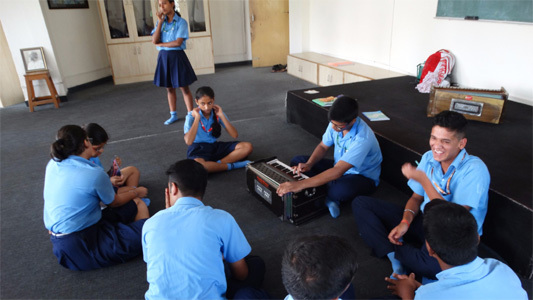 The zeal and enthusiasm of the Management and the Music Teachers in providing the best of Music infrastructure in the school is a clear reflection of the school's ideology to keep creative arts in tandem with the academic flow. 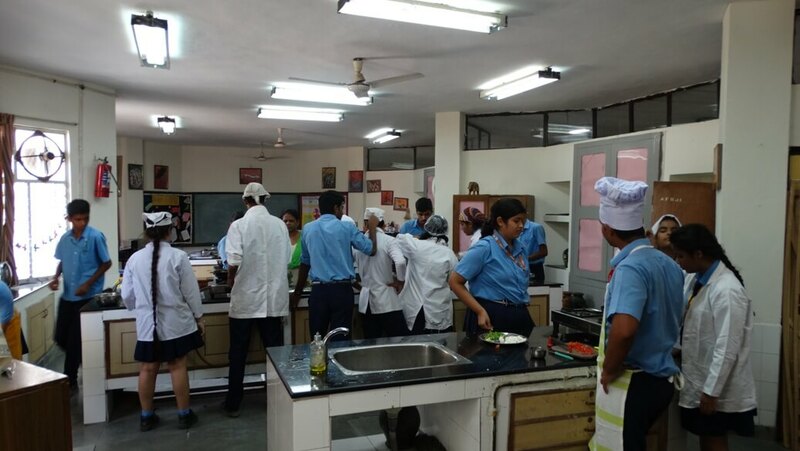 This space, situated in the North West top most corner of the Institution building is surely one of the Top stress buster zones in the school! (JULY 26, 2016 – AUGUST 4TH 2016). 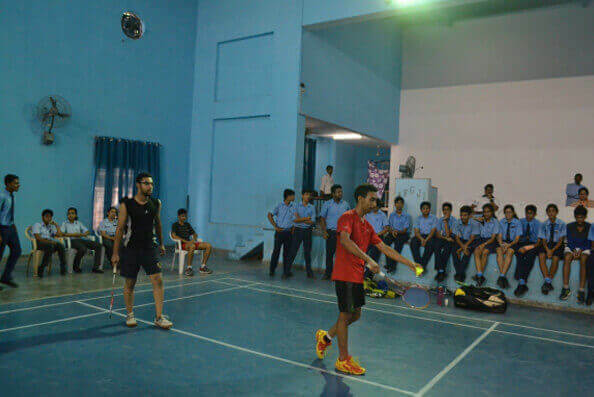 AFGJI Sports Department conducted Zonal Badminton Championship Zone 20 organized by Directorate of education, Delhi administration, District South West. 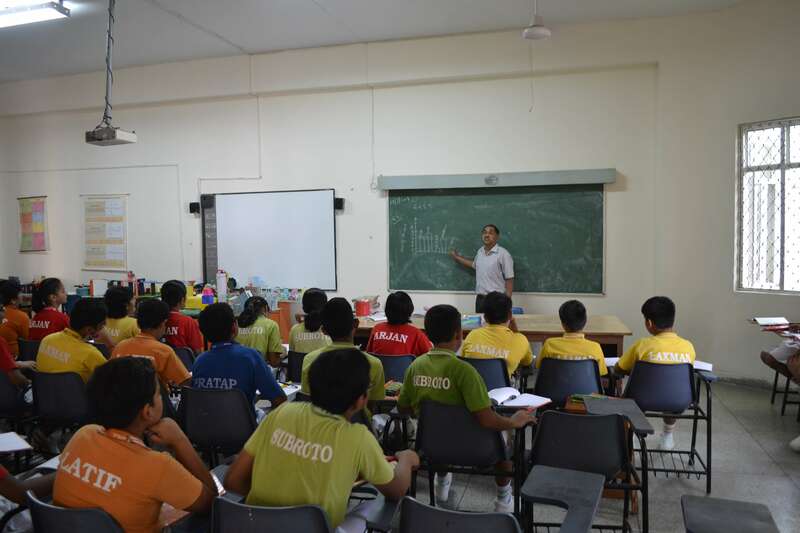 The tournament was conducted for both girls and boys in eight different categories. Around 35 schools from the Zone 20 participated in the tournament. Players from every school showed their talent, spirit and love for the event by showing good sportsmanship qualities and maintaining the decorum of the tournament. The prize distribution ceremony was conducted on August 4th. Mrs. Poonam S Rampal, Principal AFGJI gave away the prizes/certificates to the winning teams. Our school bagged three runners up trophies and two 2nd runners up trophies.